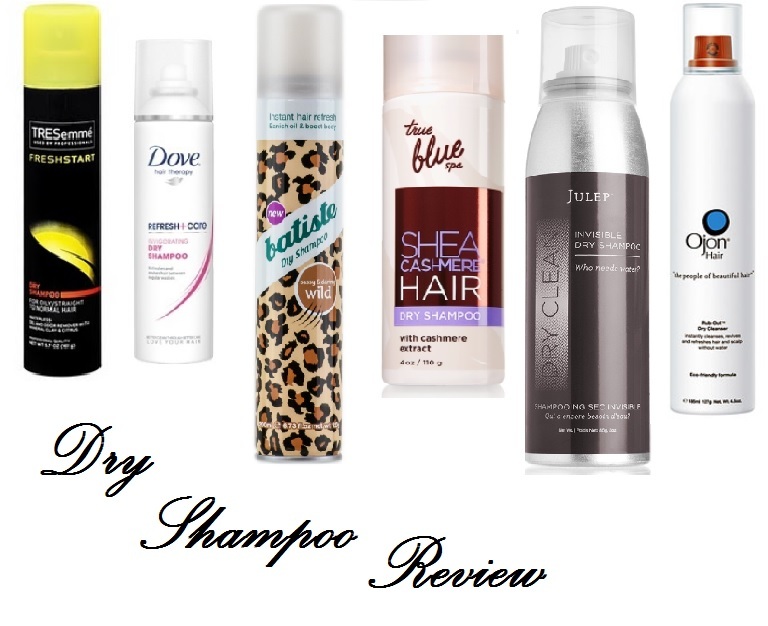 In my opinion, dry shampoo is a beauty essential. Not only does it keep your hair healthy and prevent it from the negative effects of over-washing (dryness, excess oiliness, and etcetera), it also saves you money because it protects your hair from fading (you want that expensive dye job to last, don’t’ you!? ), and allows you to spend, and use, less of your more expensive in-shower shampoos. Dry shampoo also saves you time, because admit it, some (ahem, most) days we would rather be sleeping an extra 20 minutes in the morning than washing our hair. I’ve tried some of the many brands on the market and have put together this review of my favourites (and my absolute top-pick), as well as those that disappointed. I have also reviewed across a variety of price points to ensure there is one for every budget. Let’s get started! This product absorbs oil well, and provides great volume and lift. One container of this lasted a fairly long time, and a little bit goes a long way. The downside is that it has quite a strong scent (very perfumey) that I think you’ll either love or hate. Overall, I consider it to be a great value for the price. I definitely do not like this product. The only thing it has going for it, in my opinion, is the price (though Dove has it beat in this department anyway). Normally I love TRESemme products and their commitment to making salon-quality products at an affordable price, but this product just left my hair feeling even greasier than when I started, and made it look flat and messy. Save your money. This product is, in my opinion, dry shampoo perfection. It fights oiliness like a beauty-superhero and gives amazing volume. It comes in a variety of scents, with my personal favourite being the “Wild” formula. Another problem Batiste has solved? The “grey hair” look people tend to complain of after using many kinds of dry shampoo (the product sprays as a white powder). Personally, I don’t mind having to work the product into my hair, but Batiste does offer versions of their dry shampoo in 3 tone-matching colours that don’t require you to give yourself a head massage (like it’s a bad thing?). Run, don’t walk, and get this product now! To be honest, the first time I used this product I loved it. So much so, that I went out and bought 3 extra bottles to keep in case they discontinued it (don’t act like you haven’t done it before!). After a couple days however, the nozzle clogged so bad that I couldn’t get any product out. After trying everything from the hot-water trick to sticking pins in the hole, I decided to cut my losses, throw it out, and start a new bottle. To my surprise it happened again (this time at least it was closer to the end of the bottle), and yet again on the third bottle. It’s unfortunate because this product does do a pretty good job and smells amazing (musky, vanilla goodness). However, until the packaging glitch is solved, I won’t allow myself to waste any more money on it, and neither should you. This was one of the first dry shampoos I ever tried, and for the longest time, I held every dry shampoo up to this standard. This product does everything a dry shampoo should, and claims, to do. Some downsides are that the scent is really a matter of preference, and one bottle really don’t last as long as I’d like. Most obviously, it is a little bit pricey, so I would recommend purchasing this once in a while as a treat for yourself, you deserve it! I received this product in one of my monthly-subscription boxes and was really excited to try it. I feel it does an okay job of minimizing oiliness, but I did not find that it added any value in terms of volume. I prefer more of a powdery texture to my dry shampoos (like Batiste), and this one was more of a liquid consistency, requiring you to wait until it dries. If I had paid the full price for this product, I would be quite disappointed. ← 3 Products to Wear Everyday (and Everywhere)!